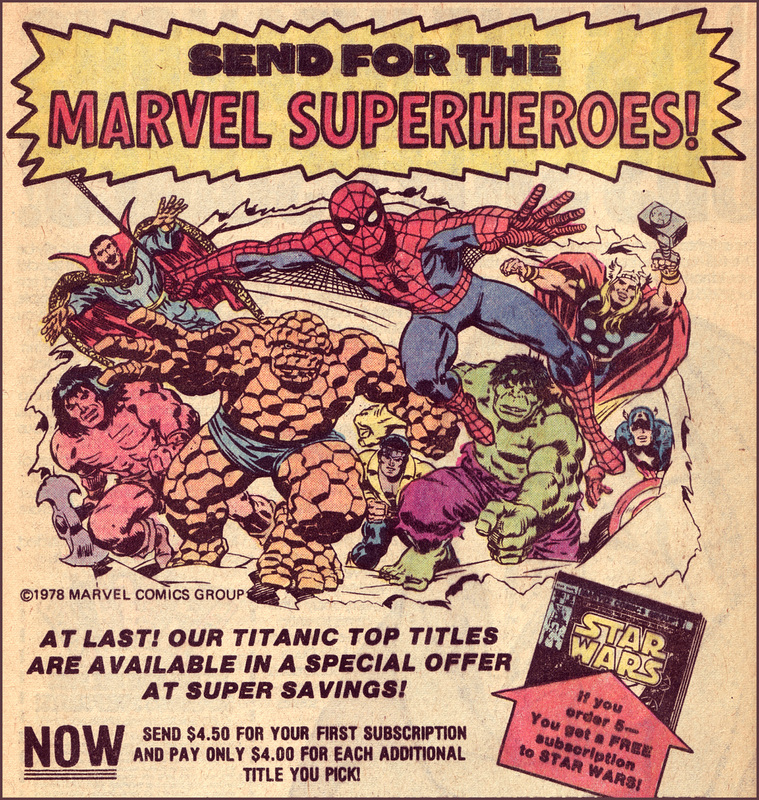 Remember comic-book subscriptions? Remember when it was a big deal that they FINALLY started mailing them FLAT? If you do you are in a word – OLD (or getting there) my friend! 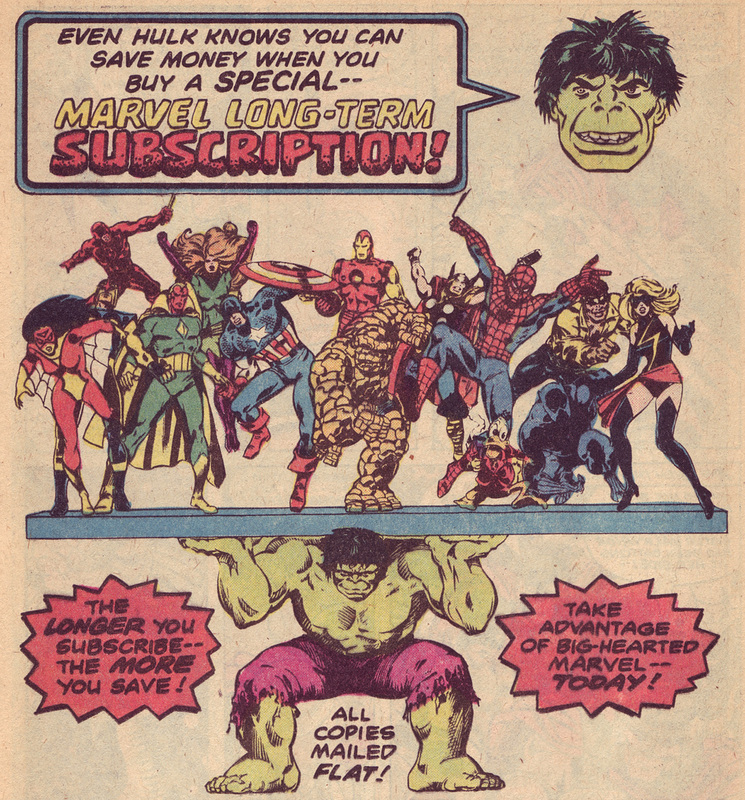 I’m 45 and I remember seeing the subscription ads circa 1978 (I was about 10 then). Some of them bragged about how they are now mailed FLAT! I thought: how the heck did they do it before??? The more I collected it sure didn’t take long before I got hold of a back-issue with the dread subscription-crease! Then I knew -HORROR OF HORRORS they FOLDED THEM! Nearly as shocking to my young mind back then as was the ending to Soylent Green! Anyway I’m reading through every issue of the original Defenders series now and I thought I would post a few Ads for the heck of it.